Readers of a sensitive or squeamish nature may wish to glance at the following story through their fingers. Others may scorn such pusillanimity! House Number Thirteen gives you Goosebumps. Could it be the gravel driveway that twists through overgrown gardens, branches reaching down like fingers? Or the stranglehold of Virginia Creeper upon crumbling walls, windows peering out like blind old eyes? That door, perhaps, paint peeling from his wrinkled face? Hinges creak like souls in pain. 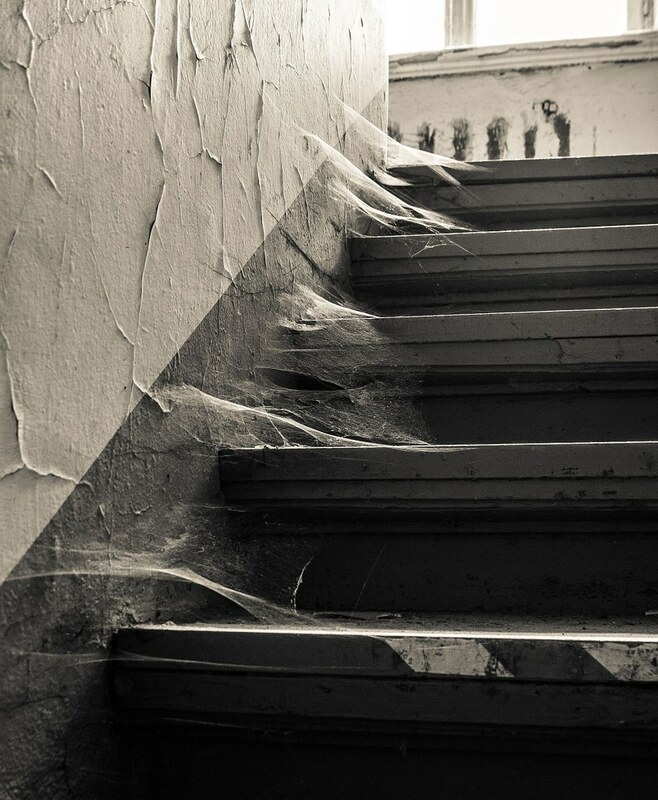 Step with thumping heart into the cavernous hallway – festooned with giant cobwebs – and climb the groaning stairs. Skin creeps at a distant flutter of wings. But nothing prepares you for the moment your torchlight reveals these grinning teeth and gleaming eyes! That house in our road is named ‘Lucky Thirteen’ – seems like a good attitude! Yes, nice to ring the changes once in a while. Lovely Gothic flash – quite literally, at the end. I agree with Curt, love to see where you might go with this.